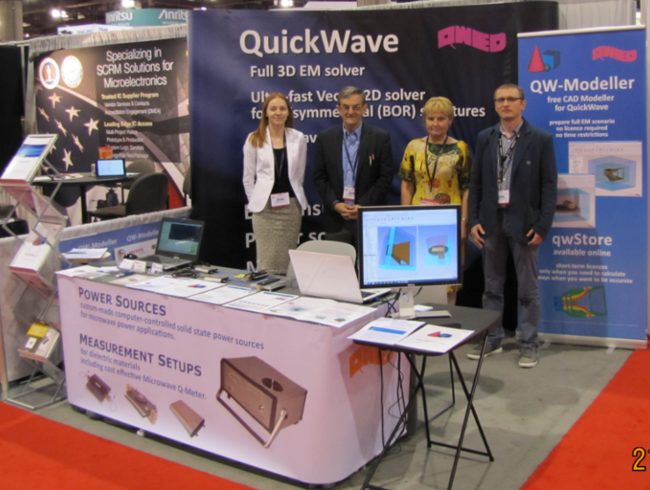 QuickWave software for electromagnetic design. 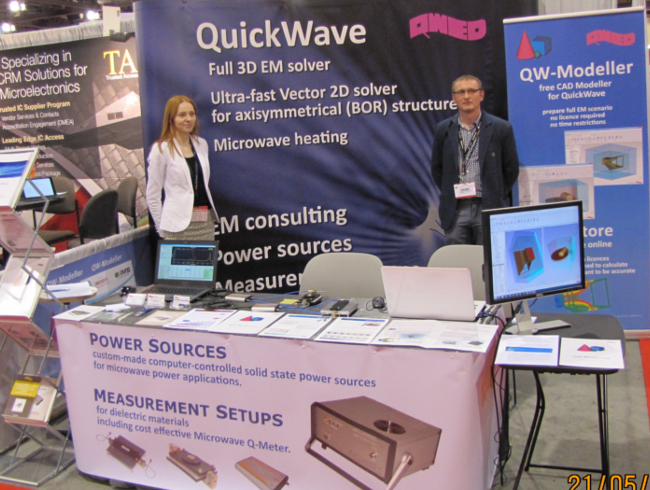 QW-Modeller: new free CAD modeller for QuickWave. Dielectric resonators for precise measurement of electromagnetic properties of materials. Microwave Q-Meter device for quick and automatic measurements. Custom-made computer-controlled solid state power sources for microwave power applications. An Applicator for Microwave-Assisted Bituminous Surface Thermal Bonding - an alternative approach to eliminating longitudinal cracks occurring in bituminous surfaces, inherent to standard road processing cycles (part of the NGAM2 project co-funded by the Polish National Centre for Research and Development, under Applied Reaserch Programme). We would like to thank everyone who visited our booth. It was a pleasure to meet you and talk about our products. 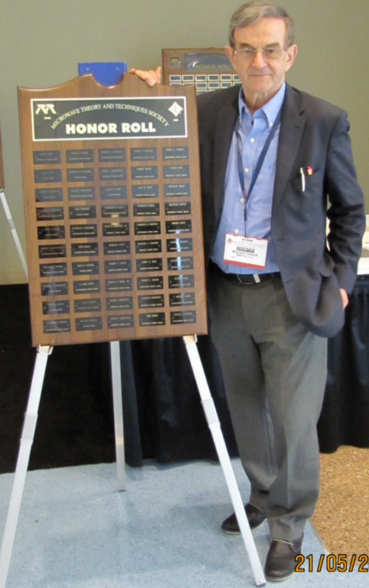 Prof. Wojciech Gwarek, President of QWED, was honored on the MTT's HONOR ROLL for his prestiguous Microwave Pioneer Award from the IEEE Microwave Theory and Techniques Society received in 2011.